Here's a beautiful shot of a salmon angler on the perfectly natural riverbanks of Scotland's most famous big fish salmon river. 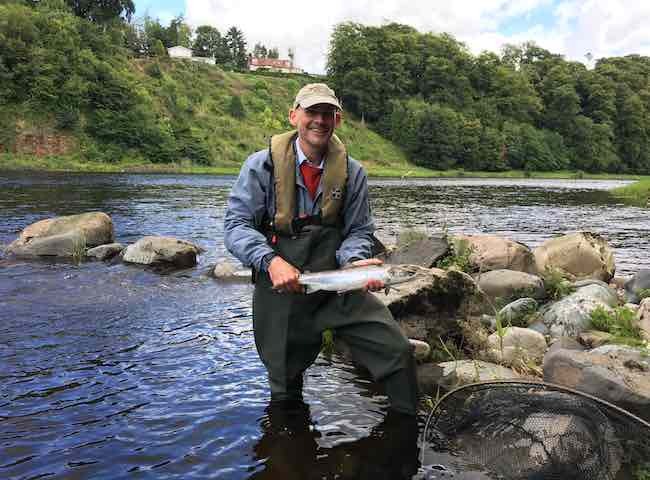 A day out on the River Tay is always going to create a special memory. 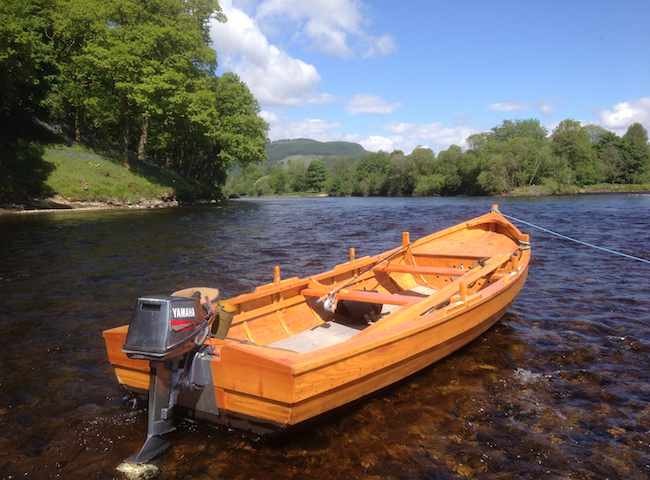 Here's an traditional River Tay salmon fishing boat which is an absolute work of art as you can see in this lovely shot. 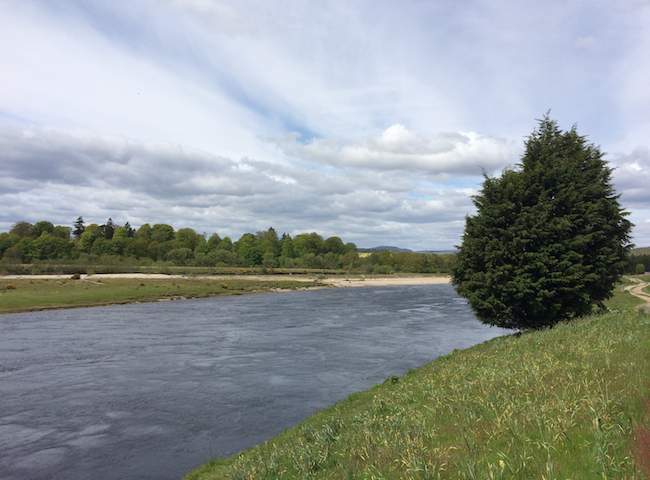 The boat offers a different salmon fishing approach on this famous river. 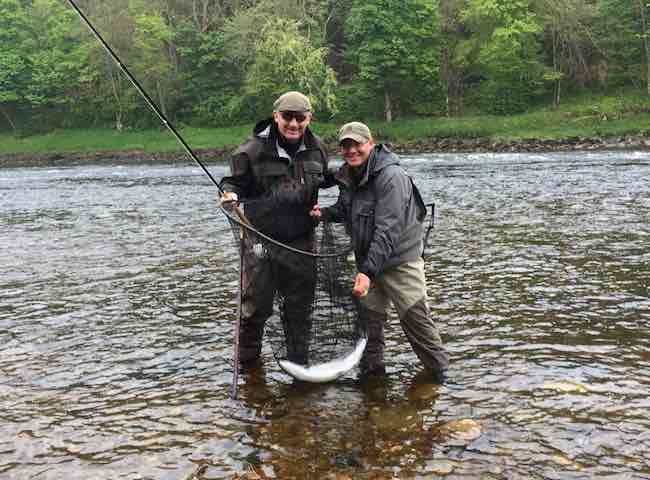 This is the end result of some technical know how from quality professional salmon fishing instruction on the banks of Scotland's biggest salmon river. 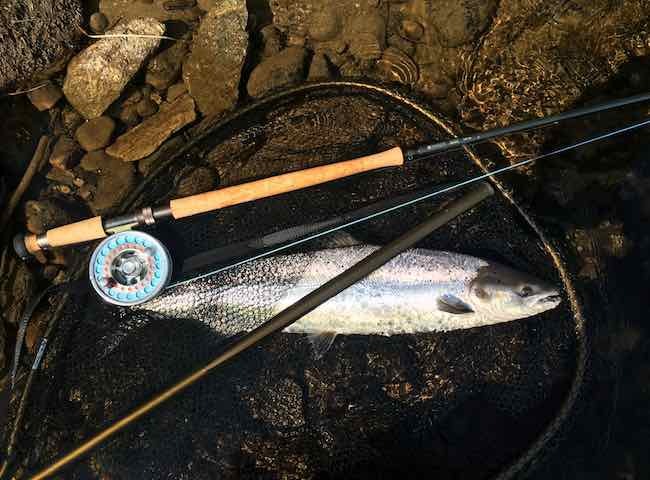 Here's a lovely shot from the River Tay showing a salmon fisher out presenting his fly across the salmon pool. Treat your business associates to the most perfect natural pursuit this year. 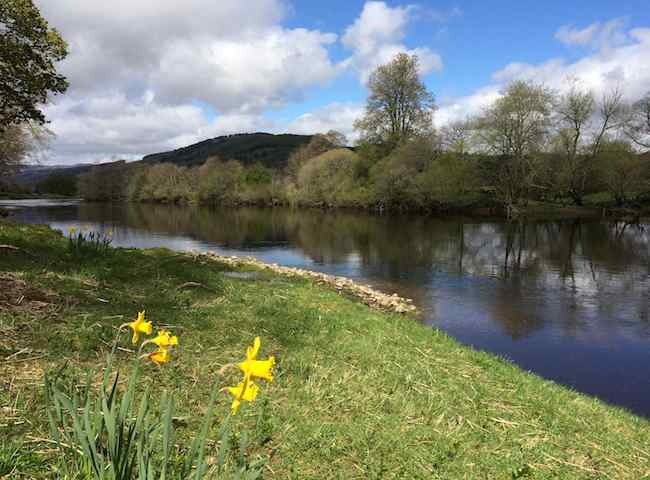 Here's a lovely tranquil Spring day shot of the River Tay near Pitlochry. 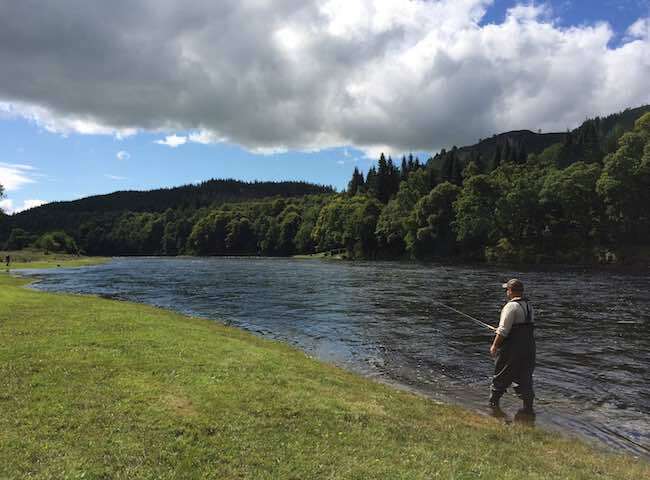 Fishing the Tay during any season of the year is always an outstanding natural experience. 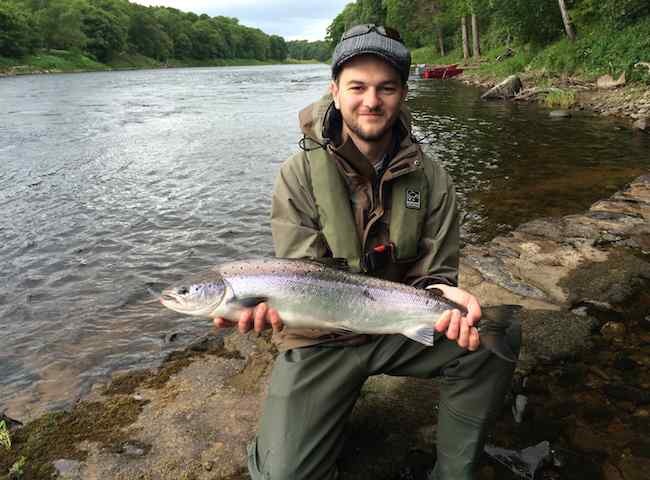 Here's a shot of a very happy client who hooked and landed this perfect River Tay salmon after a brief casting lesson and less than a dozen carefully spaced casts. 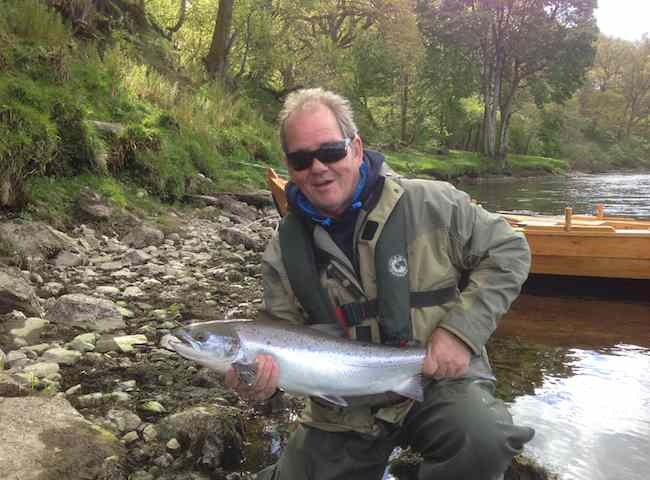 Here's a shot of a perfect fresh run Summer salmon which was caught on the River Tay during July. This was one of 5 salmon landed by this fortune fishing guest over 2 fishing days. 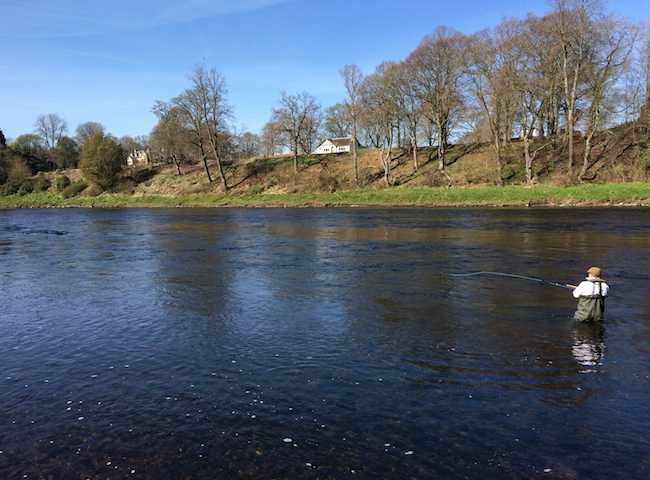 Here's a perfect shot of the River Tay on one of our preferred corporate hospitality salmon fishing event locations. Venue selection is obviously a major consideration when arranging all fishing events. These creatures are truly special whenever you catch them and especially so when they're just in from the sea like this perfect specimen in the photograph. Treat yourselves to a viewing this year. 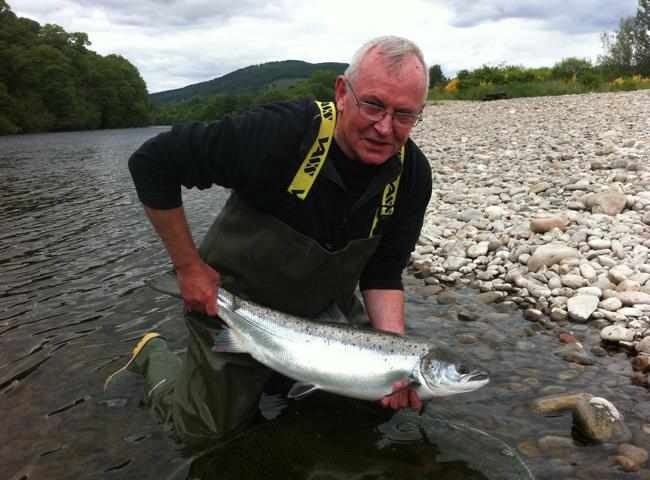 Here's a shot of a beautiful fresh run River Tay salmon seconds before its safe release. These fish are the most beautiful & prized fresh water fish of all and catching them on the fly rod is indeed special. I cannot overstate the significance or importance of a professional salmon fishing guide. These men are truly worth their weight in gold if your objective is locating silver!